25 pre-cut transparent or tan tape strips layered on a back sheet. 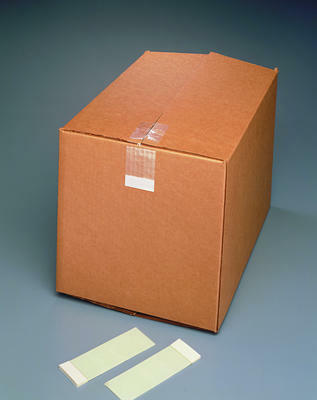 Heavy-duty standard for package repair in such applications as beverage distribution and temporary box flap holding. Portable, dispenserless application for convenience.